Crosses are manufactured to close tolerances and excellent finishes. Easy to install and remove, these crosses provide leak free and torque free sealing in industrial tubing connections. The crosses are available in different technical specifications of materials, grades, sizes and threading. Inconel Crosses offered comes with benefits of superior resistance against corrosion and high temperatures. The expert team of our company offers Inconel cross. This product is appreciated for its premium quality promptness and reliability all over the world. Our offered rod is manufactured using excellent quality raw materials and equipments in order to maintain its adherence to universally accepted norms. The offered product is widely demanded in domestic and international markets. We offers Inconel Cross to our valued customers. 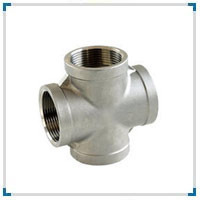 Inconel Cross are widely used in various industries. 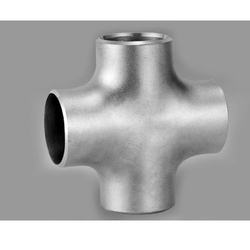 Inconel Cross offered by Metalinox are highly appreciated for its quality. These products are manufactured with the advanced technologies and include range starting from 1/2 NB to 4 NB also comprises of grade and class. 1.High quality and reasonable price"2.14 years producing experience"3.ANSI, JIS, DIN, MSS, API, etc standardWe are the leading supplier of Inconel Crossand exporter of Inconel Cross"
Product"Catalogue : Bend, "Seamless"Bend, Tees, "Elbows, "Reducers, "Caps, "Crosses, "
Our range of Inconel Crosses have close tolerance level and are available in excellent finishes. These crosses are easy to install and remove, and provide leak free and torque free sealing in industrial tubing connections. We offer crosses in different specifications of materials, grades, sizes and threading to meet the specific requirements of the customers.